June 7th, 2018: CTG Tech ranks among the world’s 501 most strategic and innovative managed service providers (MSPs), according to Channel Futures 11th-annual MSP 501 Worldwide Company Rankings. "I am extremely proud of my staff for their hard work, dedication and effort they put in each and everyday," said Patrick Welch, President & CEO, CTG Tech. "I am humbled to be able to attend the award Ceremony in Philadelphia, and would not be in that position to do so with out the team we have today. When I started this company in Amarillo TX back in 1982, I never expected to be this far along with such a great team. I am humbled to be a part of this." Channel Futures is pleased to honor CTG Tech, LLC. 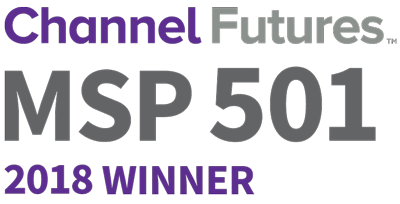 The MSP 501 winners and award recipients will be recognized at a special ceremony at Channel Partners Evolution held this year October 9-12 in Philadelphia, as well as in the Fall issue of Channel Partners Magazine. CTG has provided expert-level, affordable IT services to Texas businesses since 1982, allowing companies to increase profitability and productivity by streamlining technical portions of their operations. The CTG mission is to deliver top-tier technology consulting, support, services, and proactive maintenance using cost-effective approaches that help our clients’ bottom-line. CTG provides affordable managed IT services at a true flat-rate & experts in the following service delivery areas: business continuity, network security, cloud hosting and hosted VOIP. For more information about CTG Tech please visit our about CTG page or if you are interested in our managed IT services offering click here.